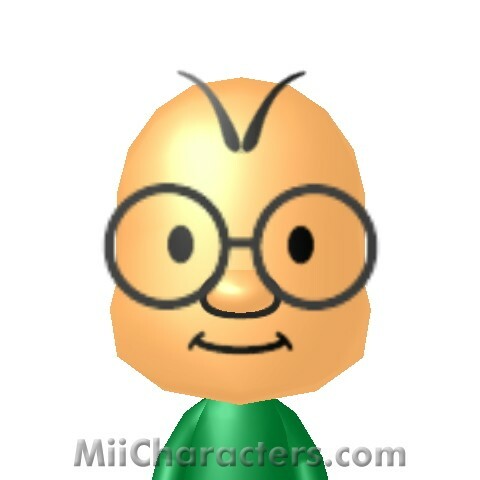 King of the Koopas and arch Enemy of Mario in Mario Brothers, Super Smash Brothers, and countless other Nintendo games. 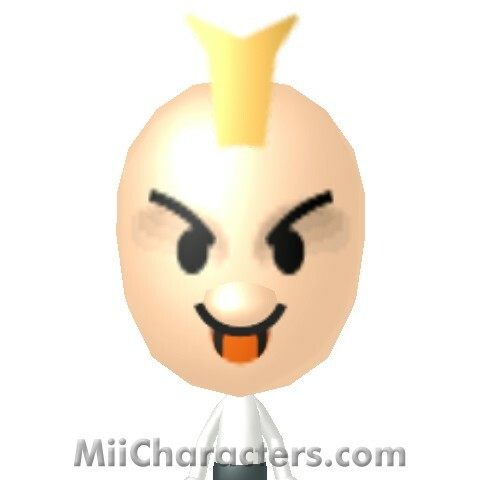 The energetic toy sold by the Mario Toy Company. 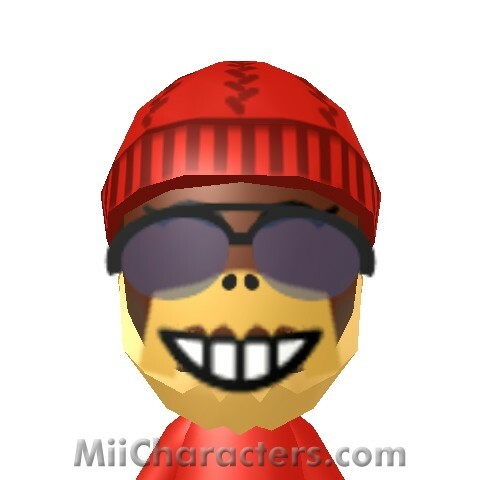 They appeared in all the Mario vs. Donkey Kong series. 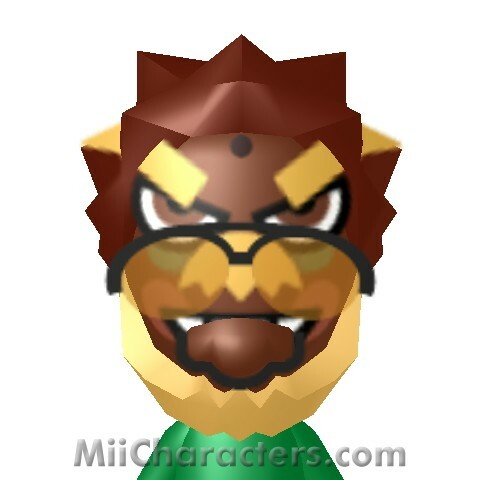 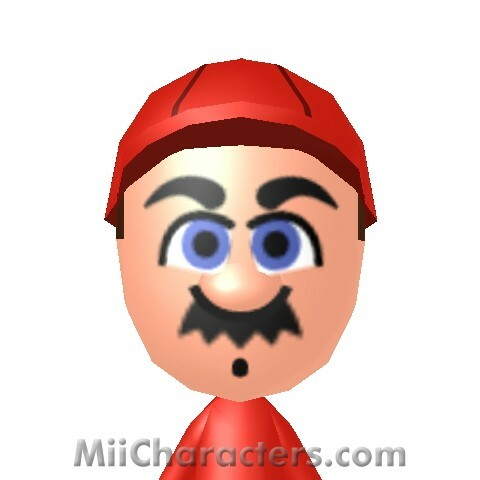 The evil counterpart of Mario in Nintendo video games. 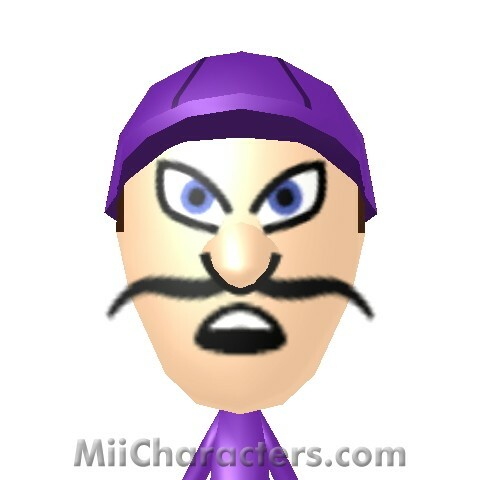 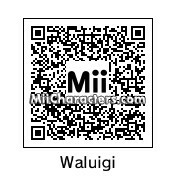 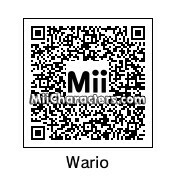 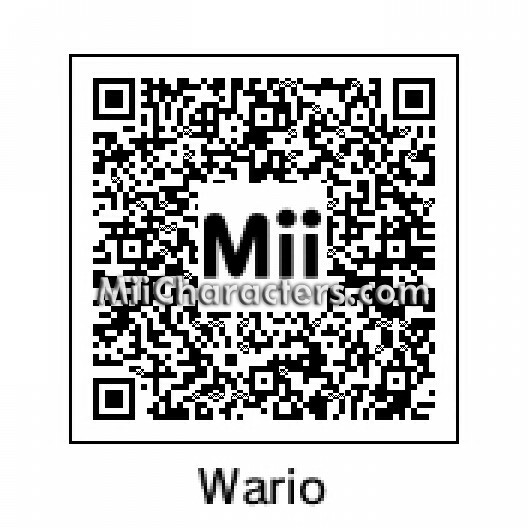 In Nintendo games, as Wario is the evil counterpart of Mario, Waluigi is the evil counterpart of Luigi. 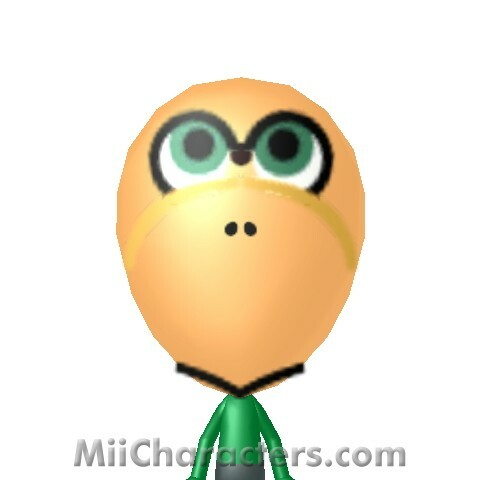 The turtle species from the "Super Mario Brothers" series of Nintendo games. 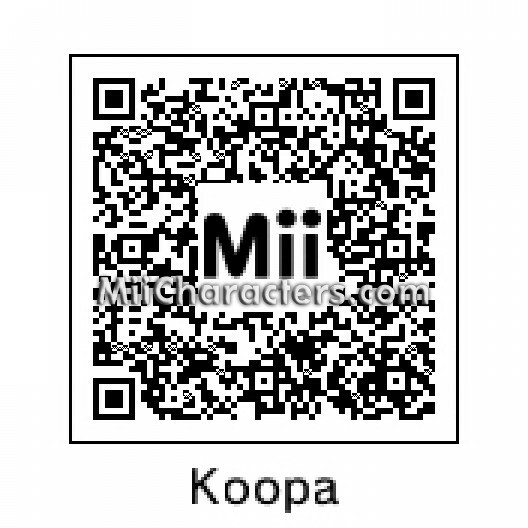 Enemy from Super Mario games who lives in a cloud. 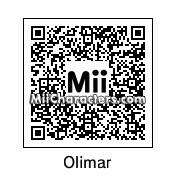 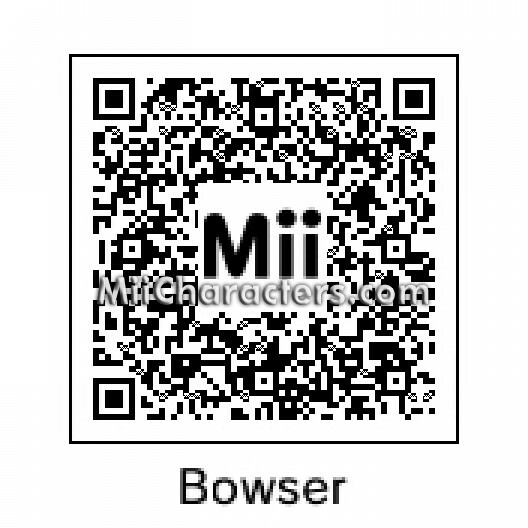 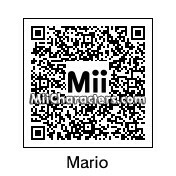 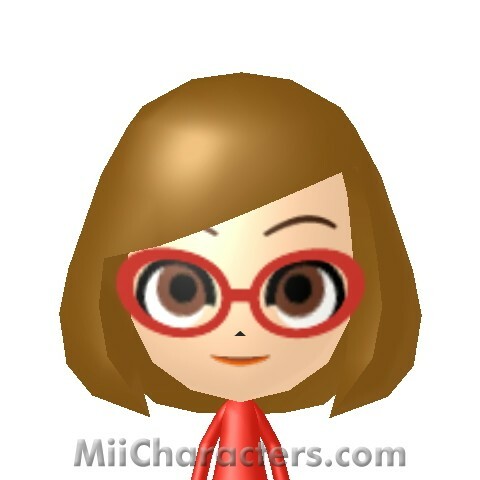 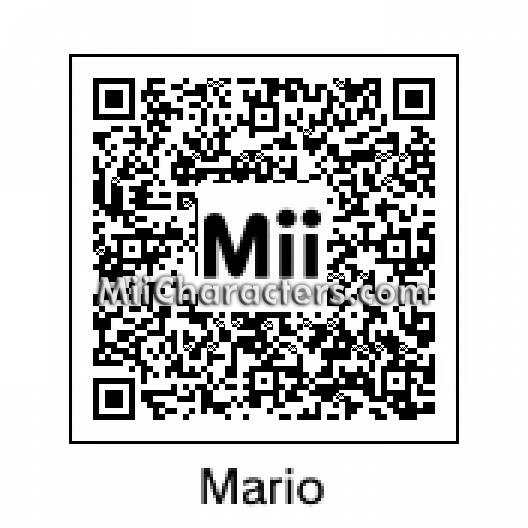 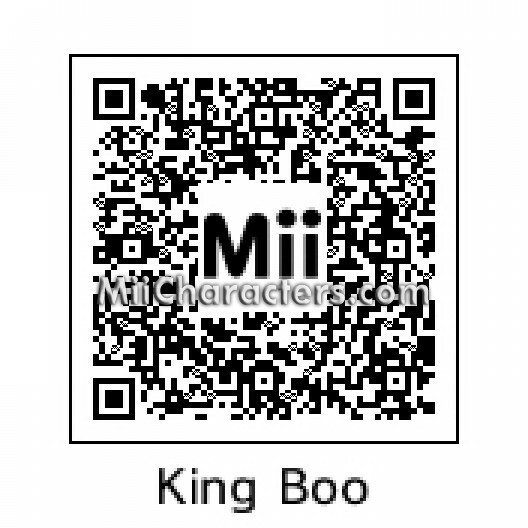 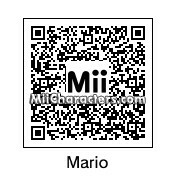 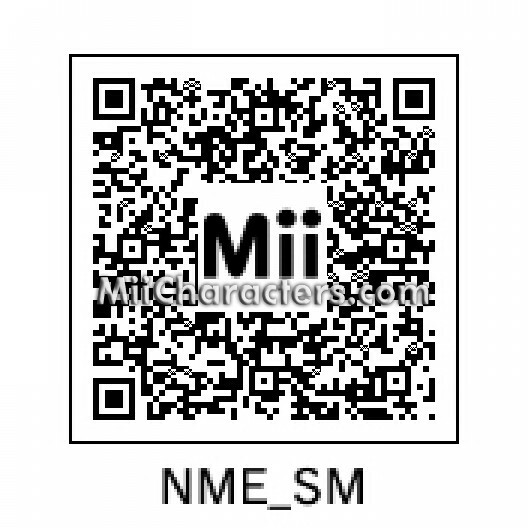 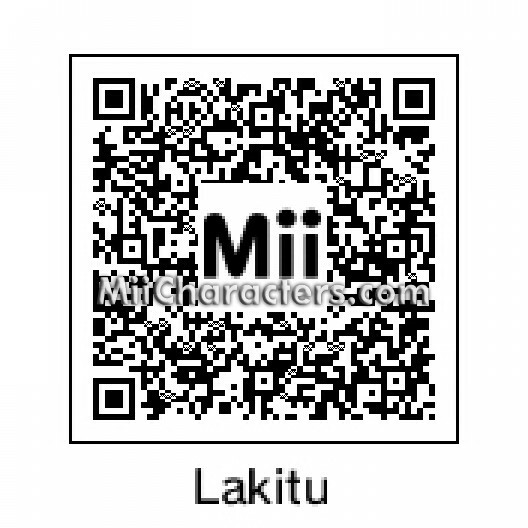 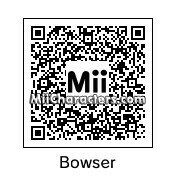 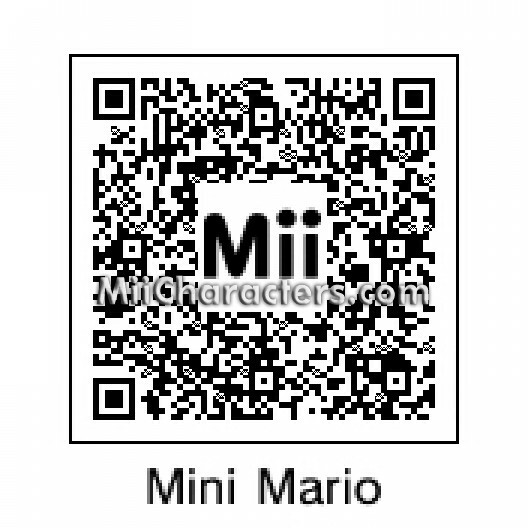 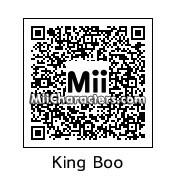 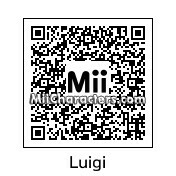 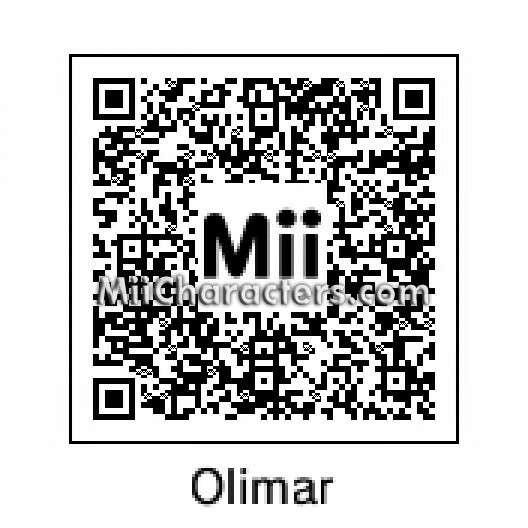 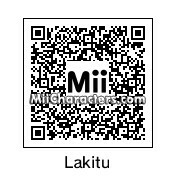 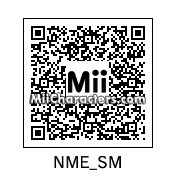 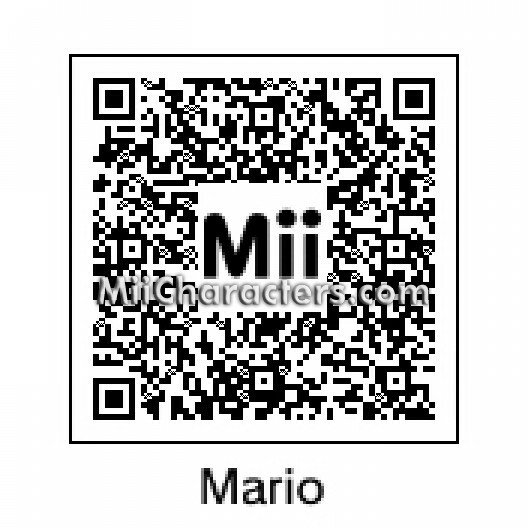 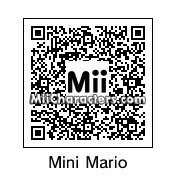 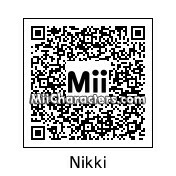 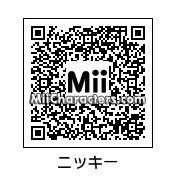 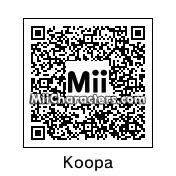 This is the official, American Mii for Nikki from "Swapnote", made by Nintendo. 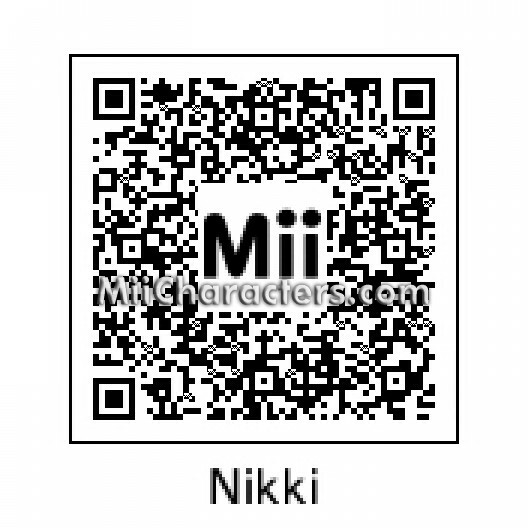 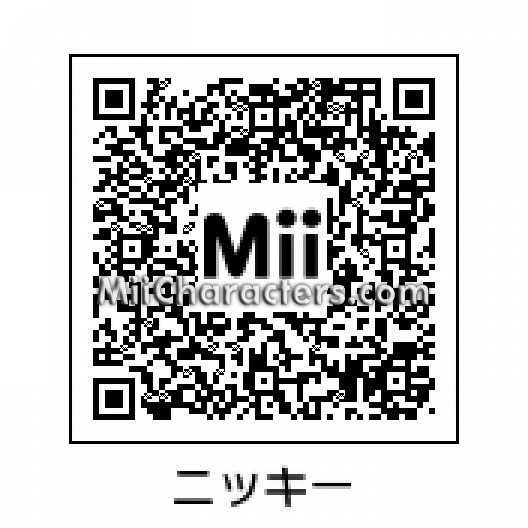 If you have already imported the Japanese Nikki Mii, this QR code will allow you to switch her name to the romanized "Nikki". 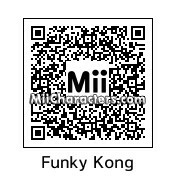 From "Kirby". 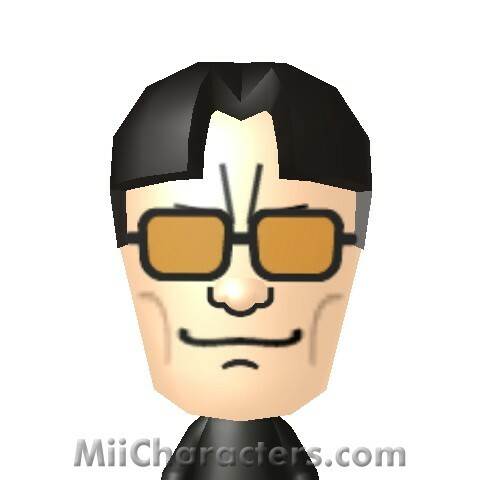 Spokesperson and salesman of Nightmare Enterprises, often referred to as Customer Service. 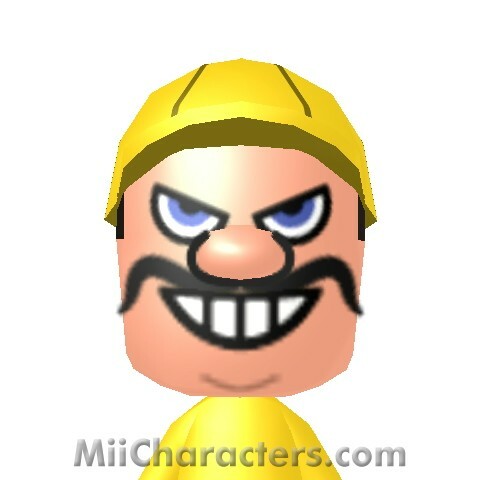 He sells monsters to King Dedede, and makes the company a tidy sum in the process. 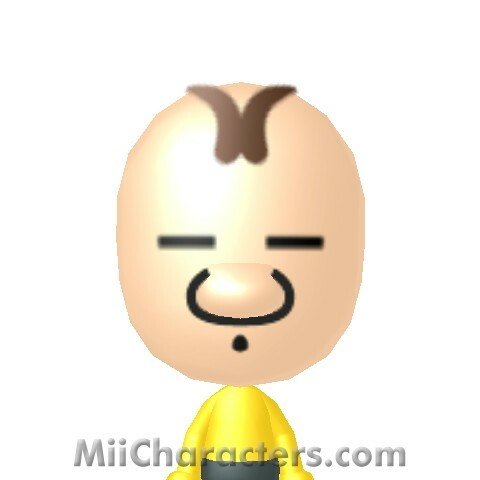 In rare cases, he helps Dedede plot to defeat Kirby. 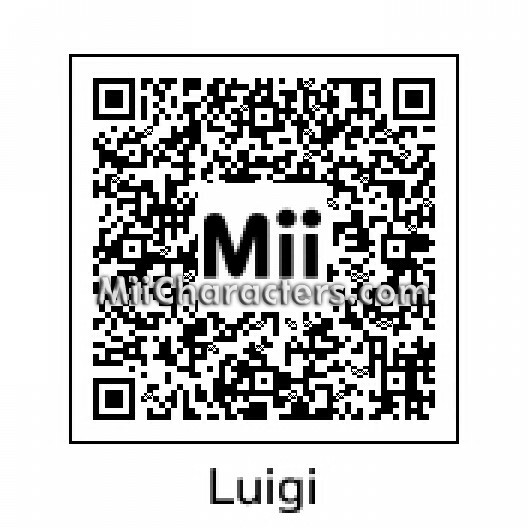 Ghost character from many Mario games. 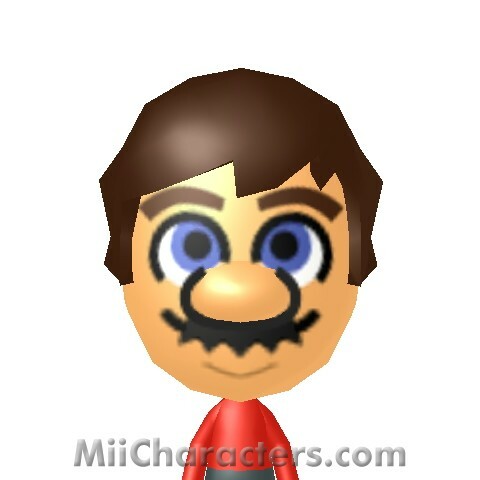 The hero from many, many Mario games. 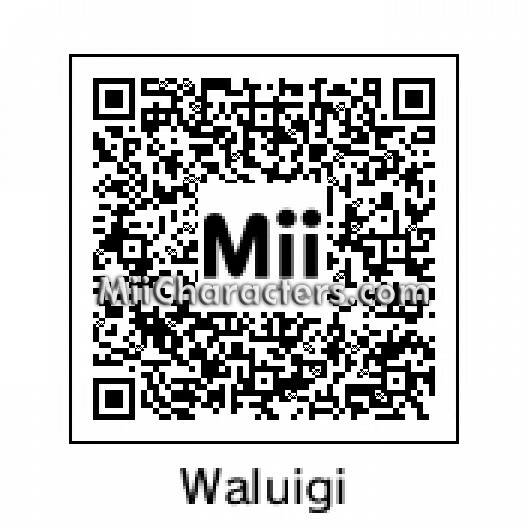 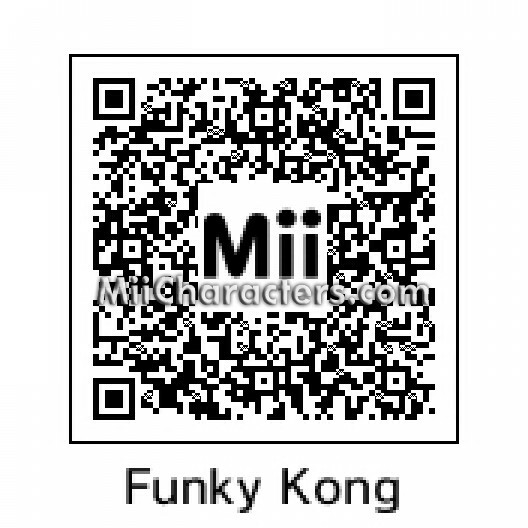 A recurring side character in Donkey Kong and Nintendo games. She is the mascot to the Nintendo eshop downloader Swapnote. 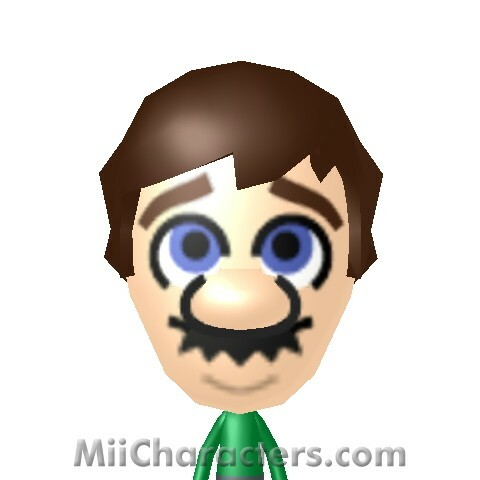 From Mario Bros, this version is little because he has been hit with a mushroom or turtle shell. 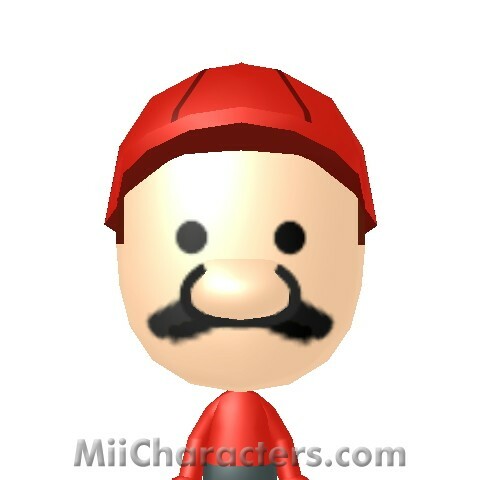 Mario's brother in the Mario Brothers series of Nintendo games.